What happens in an Australia Day? Australia comes together as a nation to celebrate the country and the fortune of being Australian. Is a day where sticks out the achievements, gratefulness, and proudness of being part of the nation and when all the citizens re-commit to making Australia a better place for the future. This day its celebrated the 26th of January because represents the anniversary of the arrival of the first fleet from Great Britain in 1788. Although this day represents this remarkable event, at the present the celebration shows a contemporary Australia which is characterized by a diverse society, beautiful landscapes, outstanding achievements and a bright future. 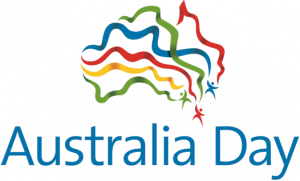 On Australia Day most of the businesses are close and the majority of the population attends to different organized community events or they get together with family and friends. Is a free day for celebrating, enjoying, relaxing and do the things that the Australian love most. This day takes place in all towns and cities, big and small. On the other hand, part of the Australians doesn’t celebrate this holiday and they are the aboriginal Australians. They don’t feel comfortable with the concept of celebrating the British landing to the country. Many citizens believe that the date of celebration should change for a day that includes everyone. The people use the free day to barbecue, go outdoors and to play or watch any sports event. One of the things that are more common among Australians is playing cricket inasmuch as this sport is the favorite in the country. Are one of the men’s hobby and they usually attend to different matches that occur in the Australia Day. There are other hobbies and activities for both men and women such as surf, recreational fishing, boating, rugby, lawn bowling, rock climbing, etc. The 26th of January is a public holiday in all states and territories of Australia. All post offices, schools, and businesses are closed to celebrate the day. It is a perfect day given the perfect weather due to the summer season. The climate is perfect for the outdoor celebration, beach parties, family gatherings, festivals, sports competitions, among others. The biggest event this day is the City of Perth Skyworks; are a fireworks show that is attended by approximately 500.000 people each year. The fireworks are thrown over the famous Perth’s Swan River with moving boats, skyscrapers and bridges that makes a unique and spectacular event.